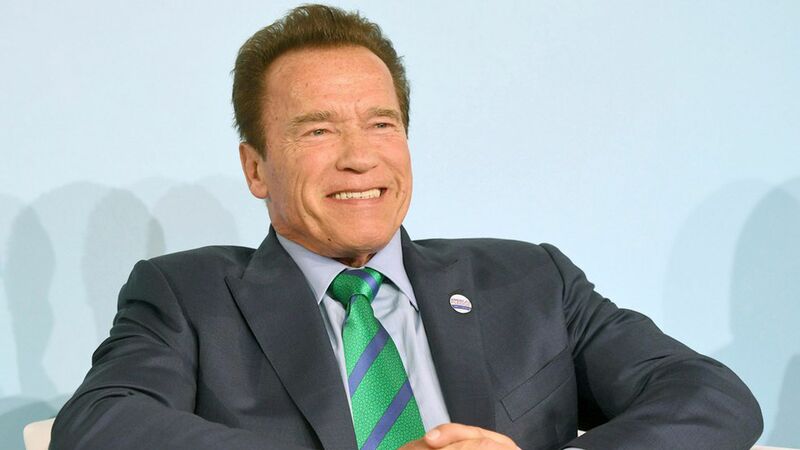 BONN, Germany -- Former California governor, actor and bodybuilder Arnold Schwarzenegger told a crowd of climate activists this week they're doing it all wrong. They need to talk about health and pollution, not climate change. The big picture: This conference, hosted by the United Nations, is all about the threat that rising temperatures pose to the world and what can be done to address it. Outside this bubble and especially within the United States, polling shows most people don't care as much about the problem. Furthermore, Republicans in Washington and in many states across the U.S. either don't acknowledge it's a real issue or don't prioritize it much. Key quote: "You can have the best product in the world, but if you don't know how to communicate it, you have nothing," Schwarzenegger, a Republican, said on a panel Monday with Democratic governors from Washington, Oregon and Virginia. "I believe we are messaging the wrong way." Gritty details: Schwarzenegger said surveys asking people if they care about climate change turns up results far lower than when you ask if they care about pollution. "You talk about climate change, it sounds good, a lot of people know about it within this bubble, but the majority of people, ask them in a poll, they don't know what the hell you're talking about," Schwarzenegger said. I spoke with Schwarzenegger for a few minutes after his remarks, and I asked him if he thinks his comment got across to his fellow panelists, all of whom kept emphasizing climate change. "It is just something to digest," Schwarzenegger said. "When you have been on the wrong track for so long and you keep talking about climate change, but then you realize all of a sudden that doesn't mean anything to people." He said he can help do to the environmental movement what he helped do with the bodybuilding world. "In fitness, in bodybuilding it took me decades, but now there is a gymnasium everywhere, every hotel in the world has a gymnasium, every military station, every university, every school," Schwarzenegger said. "Everyone has weight rooms because we penetrated through and told them why weight training is important and the same thing will happen with the environment movement."